No one uses a product expecting it to break or fail. When a product’s defect becomes apparent, it can take the user by surprise. If the defect causes a serious injury, the manufacturer, wholesaler or seller may be liable for damages. Every year, thousands are injured by defective products that have been carelessly developed, advertised or sold by irresponsible companies. 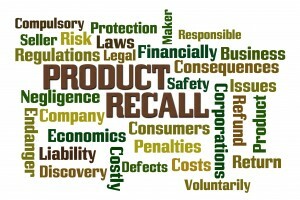 In light of the serious challenges that the victims of dangerous or defective products often face, product liability laws allow consumers to hold the manufacturers of these products accountable for their negligence in producing an unsafe product and the harm it causes. Injuries caused by defective products can range from unpleasant side effects to bodily harm and even death. Anyone who is a victim of an unsafe product may be awarded damages to be paid by the manufacturer, designer, or seller of that product. Toys with lead paint, choking hazards, or other unsafe pieces. If you or a loved one has suffered an injury due to a faulty product, contact a proven product liability lawyer. Our attorneys will fight for your rights and will even talk to you about your situation for FREE during your confidential case evaluation. Our trial lawyers have handled many product liability cases and can assist you with your personal situation. Contact us today at (760) 231-6498 for your FREE and confidential case evaluation, and take the first step toward finding justice. The Law Offices of Jonathan C. Capp is serving Product Liability case clients in the following areas San Diego, CA, Escondido, CA, Carlsbad, CA, North County, CA and Coastal Area, CA.